All Pinewood homes currently listed for sale in Wellington as of 04/26/2019 are shown below. You can change the search criteria at any time by pressing the 'Change Search' button below. "A rare find in Pinewood. 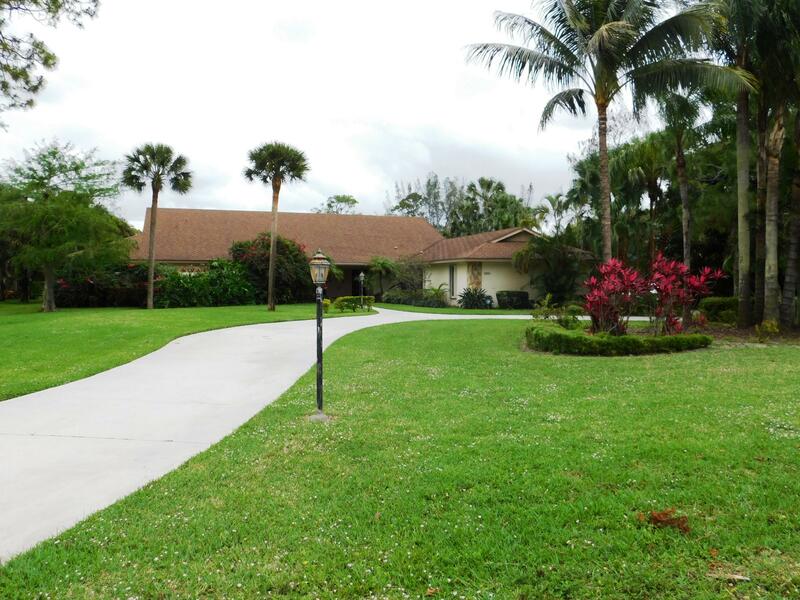 Over 6,700 square feet of air conditioned living area in this 4 bedroom home situated on an acre lot. All bedrooms have en suite bathrooms, sitting areas and walk-in closets. Master suite features extensive built-in storage, two walk-in closets, and cabana bath in addition to direct access to the covered patio and screened pool/spa. The paneled den, off the main living room, has a wet bar and extensive built-in display shelving. The outside entertainment area includes a built-in gas grill, wine refrigerator, sink and storage, plus a pass through from the main kitchen. The partial house generator serves the master suite a/c and select kitchen appliances."